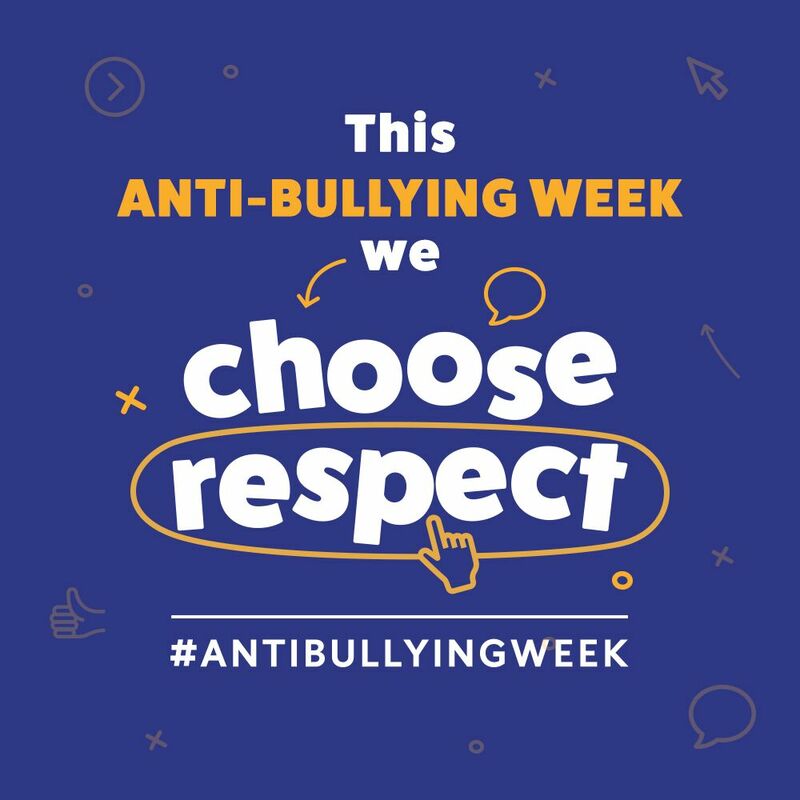 This week Grove School will be holding our annual ‘Anti-Bullying Week’, which is acknowledged at this time every year as a key focus across the country. 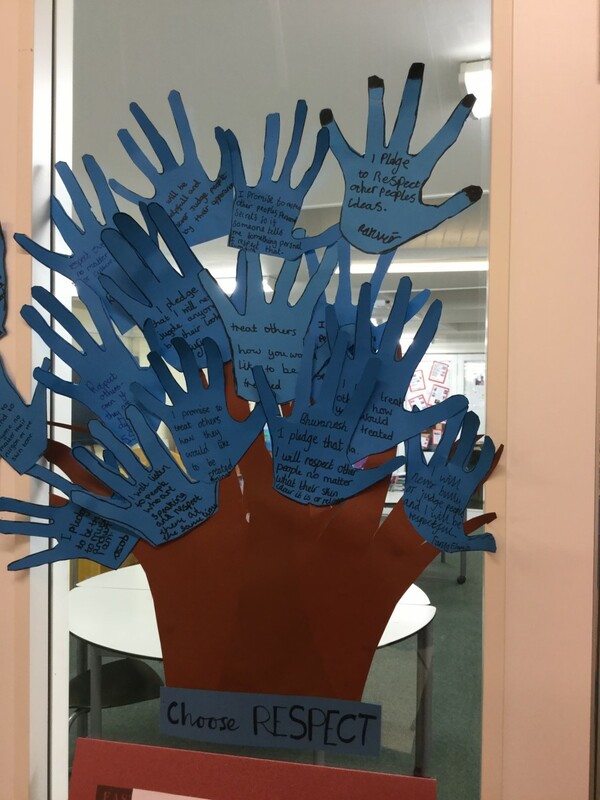 Anti-Bullying Week shines a spotlight on bullying and encourages children to take action against bullying throughout the year. The theme will be introduced to children during assemblies. Friendship bracelet making, special circle times, acting out scenarios, interactive videos, designing and starring in adverts and a special assembly led by some pupils from Lordswood Boys School. On Tuesday we had four boys and their teacher visit us from Lordswood Boys School. The boys presented a special assembly to our year 6 children in upper school. They had written and performed a series of sketches showing how bullying can present itself and how to deal with it at school and at home. They performed excellently and the year 6 children all enjoyed the assembly.Year 6 took the opportunity during a question time to ask all sorts of questions about secondary school. Lordswood boys answered all the questions very honestly and will have made a positive impact on any fears our year 6 pupils had about moving on to secondary school. The children in Year 6 watched an interactive video where the story changed depending on the choices they made in the role of either the victim, the bully or the victim’s friends. The children began by making the choices to tell a teacher and everything was resolved for the victim. The children then explored what would happen if they didn’t tell or challenged the bully themselves and we discussed the outcomes for the victim and the how bullying should not be tolerated by anyone and how everyone should work together to make it stop for the victim. The children then made their 'choose respect' pledges to put an end to bullying, online in school and outside of school. Year 5 have created bracelets with the message 'choose respect'. They have also been filming and writing an anti-bullying advert. For anti-bullying week, year 4 were focusing on the 'Choose Respect' theme. We explored what respect means and how we can show respect in different ways and in different situations. We also linked this theme to our class novel, How to Train Your Dragon. In this book, the main character, Hiccup, experiences bullying from some of the other boys in his tribe. We discussed the situations Hiccup gets into because of this bullying and we came up with solutions for Hiccup. In Year 3, we have been looking at Anti-bullying week through our class novel. The main character of our story doesn't like his school because there are mean children there. Because of this, we've been discussing how we can make a positive and happy school, and why it is important to be an inclusive school. The children have also made their own lanyards about anti-bullying for them to wear with pride! The children looked at a variety of scenarios linked to the playground and in the classroom and the children worked in groups to decide what they would do. The children then designed a superhero mask to show how to be respectful and how to make the right choices. In Year 1 we discussed who we could turn to for help when we were at school and at home. The children had some lovely ideas and wrote the names of five people they could tell on the outline of a hand. Twinkle, our class bear, helped us during a circle time activity where we discussed how good friends help each other and how we could solve minor disagreements. We discussed the difference between being bullied and falling out for a short time. We sorted pictures for being a good friend and also wrote kind words about our friends.